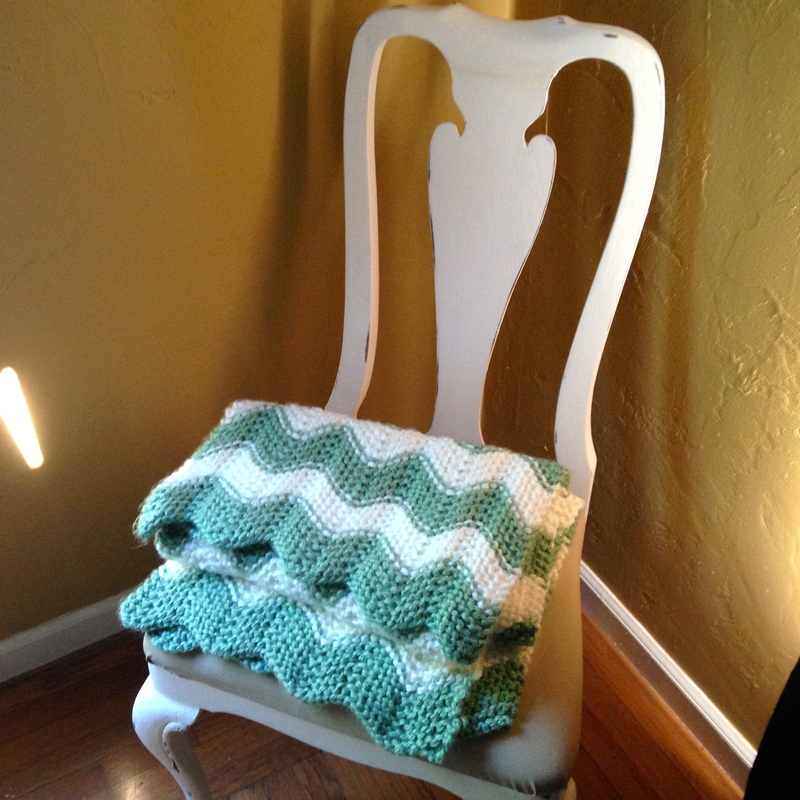 Not so bitty baby blanket fit for a boy or girl! I hope you’re enjoying your first week of December! The holiday season seemed to sneak up on me. Tuesday I took a tumble out of a bus on my way to work and badly sprained my ankle. Bad news is, I’m out of work for awhile. Good news is, my lovely family is caring for me, and now I have tons of time to dedicate to crafting! Yay! Our family recently welcomed a new baby girl to the family. 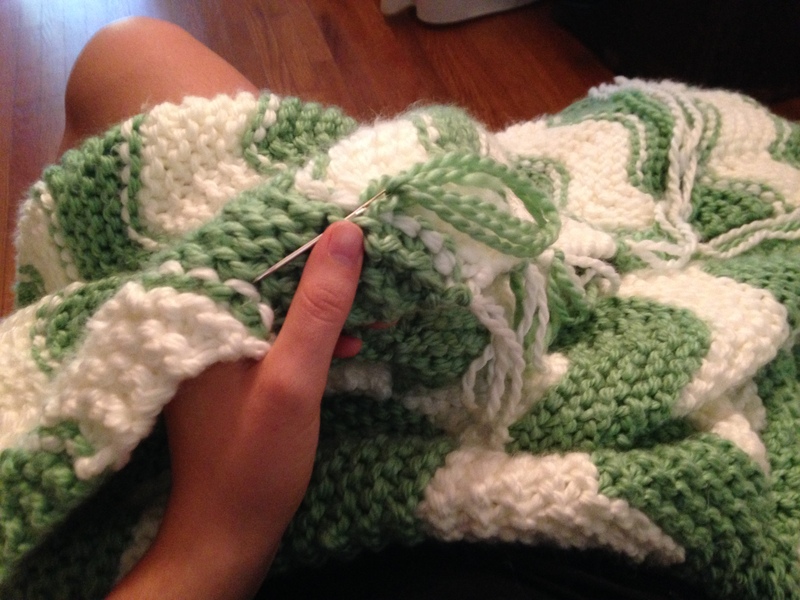 This baby blanket ended up being much larger than I expected. 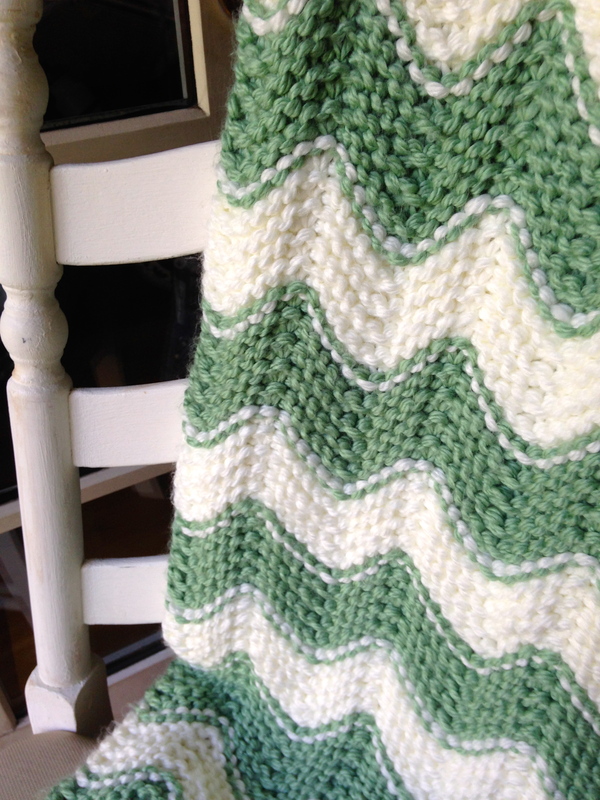 Inspired by the Purl Bee’s zigzag baby blanket pattern available here, I used size 15 needles instead of size 10 and doubled the strands. Its much too heavy for my newborn cousin, but she’ll be able to grow into it one day, I’m sure. Anyway, I’m happy with the end result! Its heavy and soft and will keep her and her Mama warm during this rainy season! 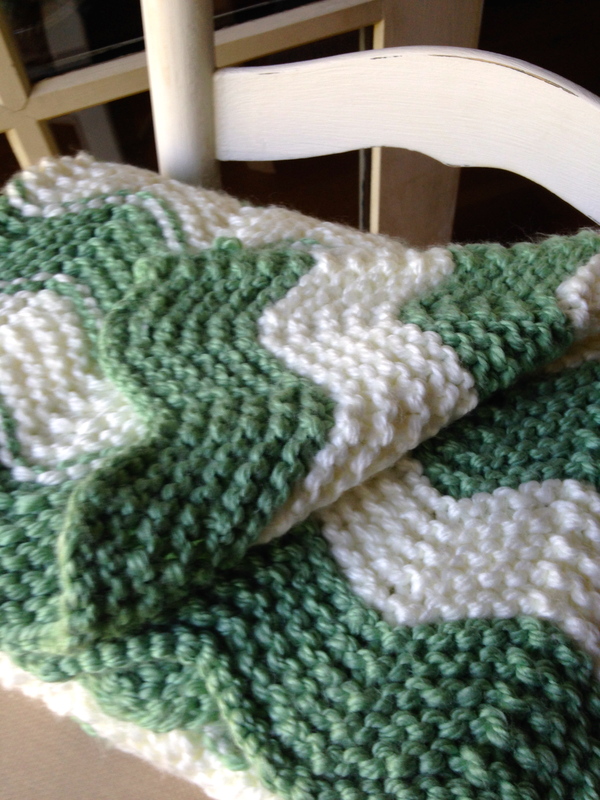 If you have any questions about the way this pattern was altered, I am happy to answer any of your questions! Thanks for reading!